I installed voip with Axvoice over one month ago. I have emailed and called customer service 4 times and I am still waiting for a response. When I signed up for their service, the website said that it would take 2 to 3 weeks for my phone number to port. I am still waiting and am currently looking for another service as I want to keep my old telephone number. It is very frustrating to not get a response leaving me no choice but to find another company that actually has a customer service person. I installed voip with Axvoice over one month ago. I have emailed and called customer service 4 times and I am still waiting for a response. When I signed up for their service, the website said that it would take 2 to 3 weeks for my phone number to port. I am still waiting and am currently looking for another service as I want to keep my old telephone number. It is very frustrating to not get a response leaving me no choice but to find another company that actually has a customer service person. Pros: The price is better than Verizon. Cons: They have no customer service. Phone calls are getting through and the call quality is pretty clear. Service offers lots of features, which is more than I use. The service is much cheaper than my landline company. Axvoice specializes in reliable Internet based phone service. The Brooklyn, NY based provider offers residential plans, business plans, and international plans—each with different specifications to better meet the individuals’ needs. Additionally, under each of these designations are plans that are designed to fit different needs. For example, with the residential plan, there is the unlimited package, the US/Canada 200, Pay as You Go, and Outgoing Only options. While each comes with various calling features, they differ in minutes and pricing. 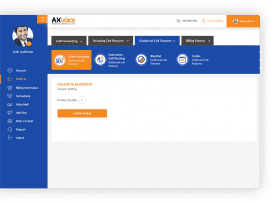 Aside from reliable service, the provider also offers key VoIP features including Caller ID, enhanced Voicemail, Do Not Disturb, Blacklist, and over 40 other features. Also, Axvoice allows users to port their numbers; however, not all numbers are eligible. 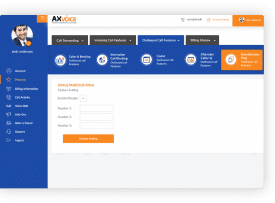 Axvoice offers various modes of customer support via online web portal support center, configuration samples, FAQs, requirements, and an installation guide. Customer service hours are 8:00am to 7:00 pm EST. In terms of pricing each designation (business, residential, international) varies—also, each plan under each designation varies. 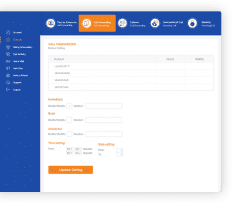 The provider also offers a Money Back Guarantee for users who cancel within 15 days of the activation of the account (other restrictions do/may apply). $3.99 per Month, 4.99 cents per minute US coverage. What Do You Think of Axvoice?